The Nazis created "Mind Control Towers" that is high pulsating microwaves designed to send information directly into the human brain on the same frequency. Back then these towers was created for crowd control, making people sick, dizzy, throwing up, lose sleep, hear music or voices in their heads, etc. Today these towers are all over the world, known as "Mobile Phone Towers" but is really created for more MILITARY purposes than commercial use, such as talking to the ones you love and at the same time giving you both things like brain tumors and Alzheimer. 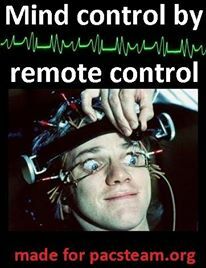 Today will be about mind control by remote control in general.